PROBLEM: Most active traders and investors cannot rely on broker-provided 1099-B alone for tax reporting. IRS rules require taxpayers to make additional wash sale adjustments on Form 8949 that are not required by brokers on the 1099-B. This can make trader tax reporting complicated. SOLUTION: TradeLog Software generates IRS-ready Form 8949 tax reporting, including all wash sale adjustments required by the IRS for taxpayers. Take control of harmful wash sale situations: Many traders become aware of wash sale adjustments only after-the-fact. TradeLog Software empowers you with reporting and knowledge to help avoid wash sales that hurt your bottom line. Beneficial tax treatment for Section 1256 Contracts: Options for popular ETFs—like VXX, USO, SLV—may qualify as Section 1256 contracts, with tax benefits. TradeLog allows you to properly identify and report Section 1256 contracts to the IRS. Section 475(f) Trader Status and Mark-to-Market (MTM) Accounting: Many professional traders reap greater tax benefits from electing Trader Status with the IRS. TradeLog Software provides the tools and reporting you need for the Mark-to-Market accounting method. There's More: TradeLog is used for more than just tax reporting. Click here to see more features and benefits of TradeLog for active traders. Accurate calculations based on rules for taxpayers, not brokers. Complete set of IRS forms for all securities. Calculate capital gains and losses, and wash sale adjusted cost basis. Adjust for corporate actions, option exercises, and other trading events. Avoid penalties for under reporting, or having losses disallowed by the wash sale rule. Combine all your accounts -- including IRAs -- into one report. Powerful performance analysis tools to help you trade better. Most extensive technical support of any trader tax software. "Tradelog Team - just a quick note of thanks and appreciation! Your software is excellent, tutorials best in class and support superb. There is no possible way I could have handled my Return without it." "I recommend your software, it saves us a lot of money and time." "Thanks for the explanation. It seems every year I have one of these odd ball [tax] situations... Thanks for the great software and job you guys do. I'd be a basket case at tax prep time without TradeLog!" "I want to express my sincere appreciation for your excellent product, and even more for your blue ribbon support." "TradeLog has made this monumental task possible. All aspects are superb. One of the best experiences I have ever had. Your documentation, tutorials, knowledge and insight into the tax process and implications, even the clarity of the sign-up process. The best software support and response that I have experienced. And I've learned a lot." "My taxes would be so difficult without TradeLog. The more I use it the more amazed [I am] at what it can do. 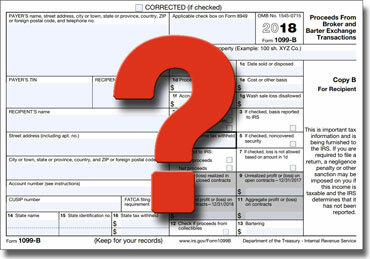 When I send in my taxes to the IRS I feel confident that I can back up my reporting and know that it is correct." "I plan to trade for many years to come and need to work with people who have a complete tax solution with solid, real tech support. Many thanks again, you guys fit the bill." "...thank you for all of your support. I must say, you are seriously perhaps the most helpful software provider I have ever dealt [with]!" filed a smarter tax return with TradeLog. Support Center - START HERE!